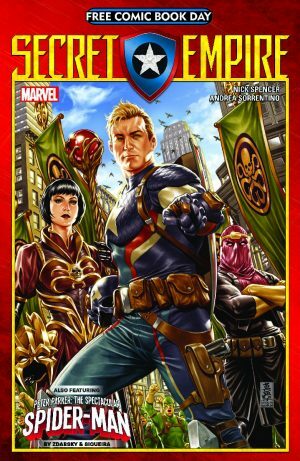 Marvel Now April & May 2017 Solicitations Spoilers: Secret Empire FCBD, #0 & #1 Have Green Costume For Steve Rogers Captain America? 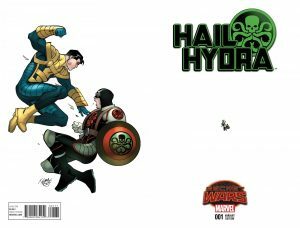 Marvel Now April and May 2017 Solicitations Spoilers follow for Secret Empire. 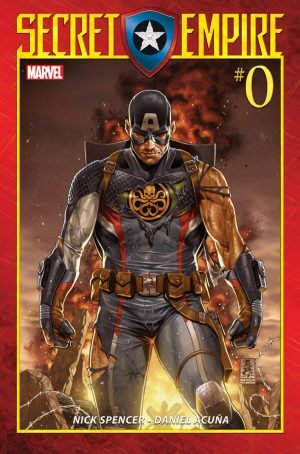 Marvel Comics has announced Secret Empire kicks off with a prelude issue #0 written by Nick Spencer with art by Daniel Acuna. Following that, there will be a Free Comic Book Day (FCBD) comic book with a Secret Empire tale written by Nick Spencer with interior art by Andrea Sorrentino and cover art by Mark Brooks. 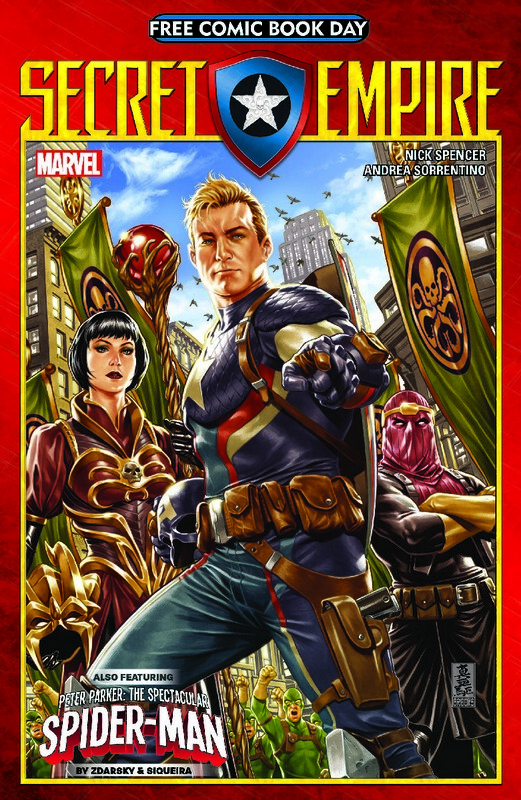 The FCBD back-up will be a Peter Parker: The Spectacular Spider-Man (more here) tale in advance of that new series launch in June 2017. 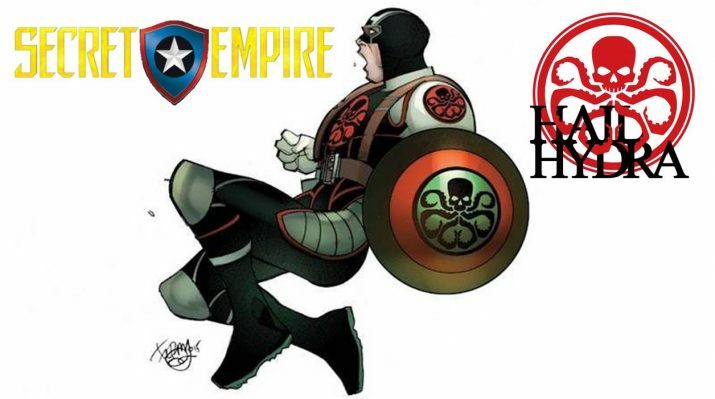 It looks like Captain America Steve Rogers will sport a new green Captain Hydra type costume in Secret Empire. Perhaps a la Secret Wars: Hail Hydra’s Captain America / Captain Hydra green costume and shield?